Detailing the physical features, habits, territorial reach and other identifying qualities of the Black Caterpillar Hunter. The Black Caterpillar Hunter is a roaming beetle that feeds on caterpillars at night and rests under rocks and debris by day. 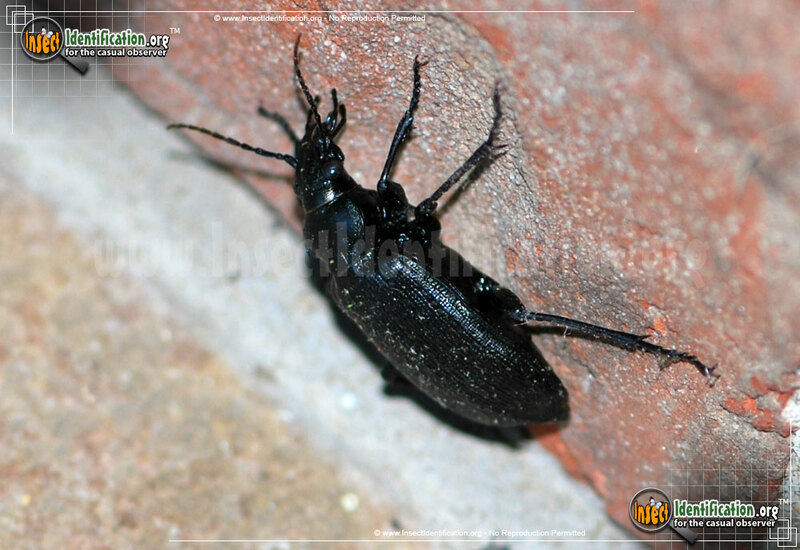 More common in the southern U.S. states, the Black Caterpillar Beetle is a somewhat large beetle. It has ridges on its elytra (wing coverings) and small metallic, rust-colored spots that form rows down its back. 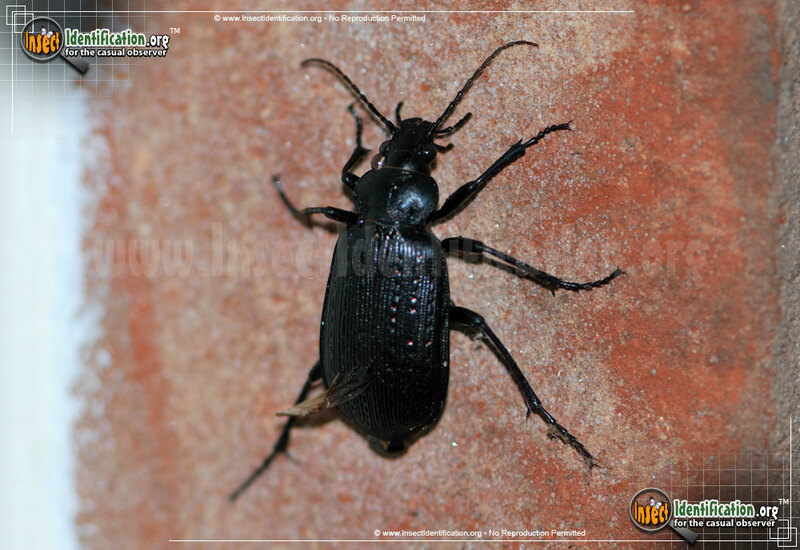 It is a type of Ground Beetle and spends most of its time wandering the earth and trees for caterpillar prey and other edible insects. Large jaws help dispatch and devour the meal. 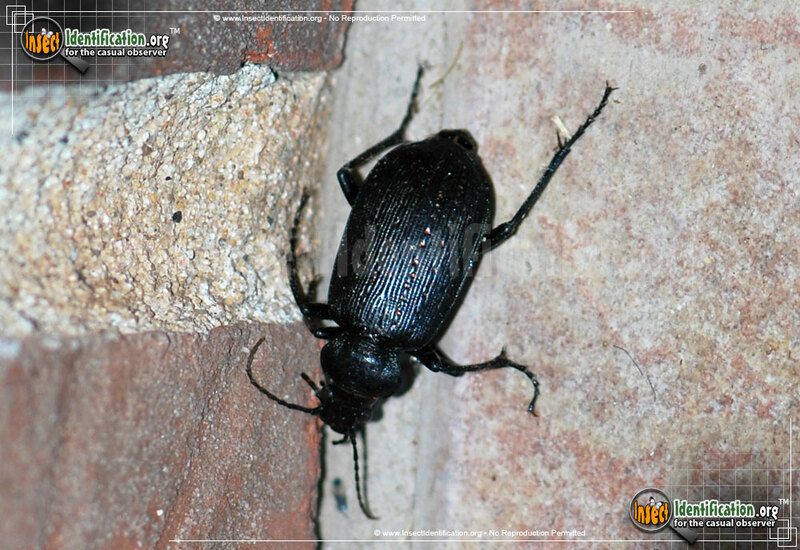 Moth and butterfly caterpillars are the main diet of this beetle, and they have voracious appetites. This diet benefits the plant by removing leaf-eaters. While constantly searching for food, they may run into their own predators. They can defend themselves in an attack by secreting a malodorous chemical. They are fast movers and can be difficult to follow. Females lay fertilized eggs in the soil. Grubs (larvae) overwinter underground, and adults are active from early spring through autumn. Lifespans vary from 2 to 3 years, which is long for a beetle. They are most active at night and will come to lights. Look for them in woodlands, coastlines, gardens, and prairies.